Friends of the Jones Library System News: E-readers rejoice! The Jones Library has added several new E-Readers to our lending program! 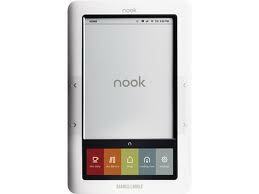 You can now sign up to borrow a NOOK Simple Touch, a NOOK Color, or a Kindle Touch. If you have any additional questions or if you'd like to request an E-Reader, please call the Reference Desk at 413-259-3096.